If you order and click your back button to return to this site you can choose a subsequent item and Puritan will add all to the same order. As we discussed regarding life choices and fertility, the health and viability of the cells around the egg, and of the egg itself and the resulting embryo, are influenced by the blood flow surrounding these cells and the amount of antioxidant protecting them from the damaging effects of oxidation products. All of the information regarding male fertility applies to female fertility as well, with the exception of L-citrulline, caffeine and alcohol. Based on our research, we recommend the following supplements, and we will give you a brief rationale for each. · Omega 3 fatty acids: These healthy essential fats increase NO production by your blood vessels, which will help to maximize blood flow to the pelvic organs. Higher dietary intake has been associated with improved embryo implantation (Wright, 2011). Gathering information suggests positive effects of omega-3’s for pregnancy (decreased premature labor) and for fetal brain development. Many prenatal vitamins now contain omega-3’s for these same reasons. We recommend 500 to 1000 mg of EPA/DHA (a serving of salmon provides over 1000 mg, so no need to take it on a day when you have salmon). You can continue the omega 3’s with pregnancy and then there is no need to take the more expensive prenatal vitamins with DHA . · Folic acid: This B vitamin also improves blood flow and prevents elevated blood pressure. The recommended daily allowance (RDA) is 400 micrograms, which helps to prevent a small group of fetal abnormalities called neural tube defects. If you are already taking a prenatal vitamin containing folic acid (some contain 1000 micrograms or more), you do not need any further amounts. 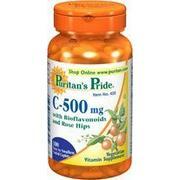 · Vitamin C, 500 mg: Thisantioxidant specifically acts to improve nitric oxide and therefore blood flow. Vitamin C can worsen heartburn, so don’t take it before bedtime. · Vitamin E: CAUTION vitamin E supplements are generally not recommended and should not be used by people who are taking aspirin. Vitamin E adds to the anti-clotting effect of aspirin. Women having IVF are commonly advised to take baby aspirin, and vitamin E could possibly increase bleeding with egg retrieval. · L-arginine: We recommend supplementing L-arginine if your protein intake is low because of being a vegetarian. A dose of 1000 to 2000 mg will help to bring your intake up to normal in such cases (the average intake in someone having an average amount of protein in their diet is 5000 mg). We do not recommend L-citrulline because it has not been studied in the female, and one study of a large dose of L-arginine seemed to have negative effects. · Pycnogenol: We recommend increasing your intake of natural antioxidants such as pomegranate, blackberries, blueberries, green tea and lots of fruits and vegetables. You could consider taking 50-120 mg of pycnogenol per day if your intake of natural antioxidants is low, particularly if you are age 40 or older. It contains proanthocyanidins similar to the antioxidants in blueberries and also found in cocoa, green tea and red wine. 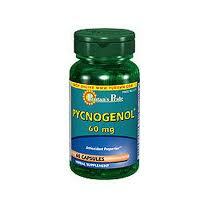 Pycnogenol should be stopped with a positive pregnancy test as its effects during pregnancy have not been examined. · Green Tea: Green tea contains lots of antioxidants, but we do not recommend more than one cup of decaffeinated green tea for the female because caffeine may interfere with fertility. The decaffeination process does decrease the antioxidant content, but absorption can be markedly increased without increasing the absorption of caffeine by simply adding 50 mg of vitamin C to each cup (Green, 2007). A convenient product is Liquid Vitamin C. Add one-half teaspoonful to each cup. There are many good-tasting specialty green teas available. Good earth has a decaf lemongrass green tea we highly recommend. · CO Enzyme Q-10: is critical to energy production in the cell. In the aging rat, this mitochondrial nutrient has been shown to reverse effects of aging on the egg (Casper, 2010). A dose of 600 mg per day is a comparable dose that an older female (over age 37) could choose to take, understanding that there is very limited information so far in the human showing that these same benefits would be seen. Supplements of Q-10 have been used in a number of other studies with no significant side effects or adverse events being reported. If you take Co Q-10, we advise stopping it with a positive pregnancy test. These supplements are all quite reasonable in price. They will cost you less than other supplements marketed for fertility. We have done the work for you to find the recommended doses and best available prices, which are comparable to or less than what you would pay in the usual retail store. 1. A healthy diet with fruits (especially berries) and vegetables, less red meat and no trans fats (doughnuts, French pastries, fried foods). Use olive oil for cooking and salad.s Avocados and nuts are also good sources of monounsaturated fat. 1. Increase antioxidants- 500-1,000 mg vitamin C, decaf green tea (1cup per day); consider adding pycnogenol, 40-60 mg twice daily (this may replace or be added to the other antioxidants already mentioned. 2. Take 400 micrograms of folic acid; at least that amount usually is in all prenatal vitamins and multivitamins. 3. Consider adding 1-2 gm of L-arginine if your protein intake is low. 4. A small amount of vitamin C added to green tea aids absorption of antioxidants (see above under “liquid vitamin C”). 6. 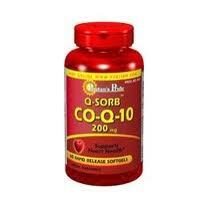 Consider adding Co-enzyme Q-10, 600 mg daily (see caution above under “Co Enzyme Q-10”).